Apparently, the error cannot be reproduced on the same system but with no GPUs, as i have it, or on ESXi 5.1. Cisco told me that they’re working with VMware on this one and hopefully they will create a more fashionable way on getting the systems up and running. ‹ Prima poza de cand vad altfel lumea, este cu Moise Guran! Would you be willing to post a link to this blog in the Cisco Communities. It is great info and might help others. The link is https://communities.cisco.com/community/technology/datacenter/ucs_management. Thanks for this! I just ran into this problem exactly and it saved me some time. Ran into this with 5.1 U2 installer on a C240 with NVIDIA GRID cards in it. Booted fine with your workaround. Thanks! I had the issue upon trying to install 5.1U1a, did you revert the BIOS settings back to default after installation or is it okay to leave them as suggested in the blog post after installation? I left them as they were. we were not able to find the pci configuration on bios we struggling for three hours. Check for PCI subsettings in advance tab and restore it to default. 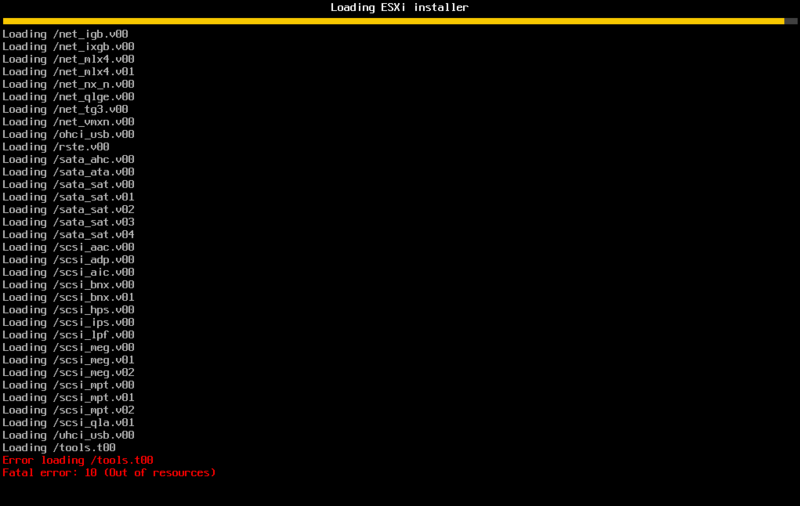 When applying the above mentioned settings…my C240 can no longer see the external cd/dvd rom being used to load esxi. thoughts?